“Busy Streets” is a key library containing 74 environments that will become the scene of busy cities. Stealth recorded in the US in: Chicago, New York, Philadelphia. 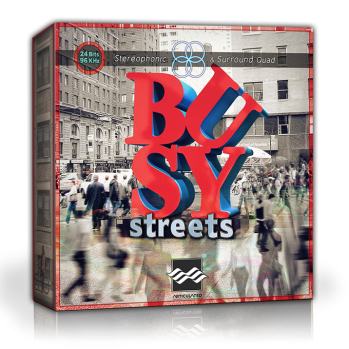 “Busy Streets” is also an excellent supplementary library for the Quiet Streets Library.